so let me get things started on the right foot, Mr HPMcQ does most of the cooking in the house, i am better at DIY he is better at cooking. his cooking surpasses my cooking on many many levels, so why fight it, let the man cook. so when we were invited by sage to spend the day trying out many of their wonderous gadgets it was best i took Mr HPMcQ along because he would know what they were talking about and in fairness he was really really excited about playing with the new pressure cooker. ‘i’ve not used a pressure cooker before’ he exclaimed with a slight squeal. i know, each to their own! so off we trotted to their office in chiswick for the day, ronnie rockstar in tow too. i had never used any sage kitchen appliances before that saturday afternoon, hell i had only ever seen one in the flesh only a matter of weeks ago when tanya from mummy barrow rustled up some waffles at our weekend away in devon. we arrived to an already busy kitchen, ingredients of cheddar cheese and jalapeno peppers were being measured into the bread maker. fresh bread in three hours someone called. to my right a whole chicken was being placed into the new fast slow pro pressure cooker ‘ that’ll be ready in 30 minutes’ yeah right i thought to myself. ‘cup of tea dear?’ well yes of course, on went the tea maker, nope not the kettle an actual tea maker, tuned to perfection to make the perfect cup of tea. ‘any coffee going’ piped up Mr HPMcQ, ‘on it’s way’ came a call from the far side of the kitchen. and then there straight in front of me a “waffle off” was in full flow. was it to be the big thick square ones or smaller thinner rounded ones, chocolate and raspberry filled ones, all absolutely delicious. my senses were buzzing within just moments of arriving. OMG. now if like us you are a working household, squishing everything in between the school runs and getting to work on time and then back again, sage certainly appear to have many excellent gadgets which could make that time easier to navigate when people need feeding and watering. sage certainly know their stuff which they proved time and time again in so many ways in such a short time that we were with them. the only thing you will need to work out is how to rebuild and redesign your kitchen to fit all these genius solutions in! so you like a cup of tea in the morning? well then the tea maker is for you. you can set it to 6 kinds of different teas to brew times to make the perfect brew for you. it has a timer so it’s there ready for you when you want it, and if you are running a little late, well it can keep it warm too. tea not for you? need something stronger? well there are four options of coffee makers from you to choose from. we gave the oracle a good going over, two cappuccinos in just 90 seconds! amazing. it also happens to be the world’s first automatic manual coffee machine to boot too. i have no idea what this means, sounds impressive but i’m a tea girl myself. so your up and you’re ready for breakfast, some toast perhaps? well then there’s a couple of things that might catch your eye. first up the custom loaf pro, not in shops until november and exculsive to john lewis until april next year, but it’s worth the wait when you see/hear what this can do for you. it has all kinds of automatic programmes which means you can make the perfect loaf each and every time. what particularly caught my attention was the special setting for gluten-free bread. gluten-free bread is not generally as delicious as other breads that you find graces the shelves of your local shops or supermarkets, so i am up for the challenge of making the most gluten-free bread in ye olde london town. sage are you ready for this challenge? there are nine custom settings, which means you can store you personal recipes, and of course there is the delay start timer so you can wake to the most delicious smell of fresh bread in the morning. so you have bread, but that’s not toast, so you’ll be needing a toaster then. again four to choose from, we got to have a whirl on the four slice smart toast. so many buttons! you can not fail to make the best toast in town with this little wonder, and if it’s not quite ready? there’s a button that says ‘a bit more’. genius. it has really wide slots so you can get those doorsteps with ease, and a special crumpet setting! dad did you hear that, a toaster with a crumpet setting! i know! not up for toast? fancy something a little sweeter? bring on the waffles!! like i said above i was introduced to the might of the waffle a few weeks back. oh hello. what i hadn’t realised is that there are too kinds of waffles to be had. we had a chance to try out both, rude not to right? and clearly waffles aren’t just for breakfast, they are for life! the smart waffle produces 2 large square belgian waffles, thicker, larger and spongier, absolutely delicious topped with strawberries, chocolate sauce and a splash of cream. of course you can make savory versions too perhaps with bacon, i mean really the options are pretty endless. mummy barrow has been known to make various different options in hers, from omelets to cake! the smaller no mess waffle, makes a thinner waffle, lighter, crisper and rounder. great for maybe additions to pudding such as ice cream etc, or as am alternative to bread in a sandwich perhaps. kelly from domestic goddesque had some wonderful suggestions of actually putting chocolate chips and raspberries in the mix rather than on top afterwards and that she had before put popping candy in the mix too for her smalls. so you want something cold with that waffle? sage do have an ice cream maker too you know, the smart scoop, but alas we didn’t have enough time to play with that, what we did have time to do though was to have a quick play with the boss, a super blender. what a super super gadget it was, so much more than just a blender. it can prepare hot soups, smoothies, dips, frozen desserts and even mill flour in minuets. it has 12 variable speeds for heaven’s sake! we made the most delicious frozen yoghurt simply by adding frozen cubes of mango to yoghurt and blizting the hell out of it. made within the blink of an eye and absolutely divine. we also made a smoothie and a dip. all of these in super quick time and to help with the cleaning up, simple add a squirt of washing up liquid and some water and press the self clean button. amazing. now surely once you’ve had all that you can’t still be hungry but remember there’s always time for pizza, and let’s not forgot i did mention chicken at the beginning too! so back to the pizza. yep pizza was said out loud which made roosters ears prick up. ‘pizza mummy? can i make pizza?’ of course you can, and with a squeal he washed his hands and got his apron on. well ok so he wasn’t making pizza from scratch, which he does do at home with Mr HPMcQ (best home-made gluten-free pizzas in town i’ll have you know) but this exercise was to show what a smart little machine the quick touch crisp is when you need something super quick without a soggy bottom to feed those little ankle bitters or large ones i guess if they were laying down. what’s the fuss you say? it’s just a microwave. well it’s not just a microwave, it’s an intuitive microwave with smart settings that helps you take the guess-work out of cooking. you simply choose an option from the selection of most commonly used food types within cook, reheat and defrost modes and then the power levels are automatically determined to get the best results. it then automatically measures humidity from the food and calculates the cook time! wowzers. launching in november if you are liking the sound of it. but hang on one moment isn’t there chicken on the go too? bing. yep i was told that the chicken would be ready in 30 minuets and bang on the dot the chicken was ready, the fast slow cooker pro did not lie. this machine is incredible. it’s a pressure cooker, oh but wait it’s also a slow cooker. you can use it for reducing, searing, sautéing and even a spot of steaming too. now i had no idea what cooking with a pressure cooker entailed or even a slow cooker for that matter. basically if you need it fast you pressure cook it, if you want to take your time then slow cook it. see it kind of does what it says on the tin. now the chicken came out looking somewhat pasty, and you will not get a crispy skin, so if you want all the crispness too you will need to reduce the cook time and crisp it off in the oven. 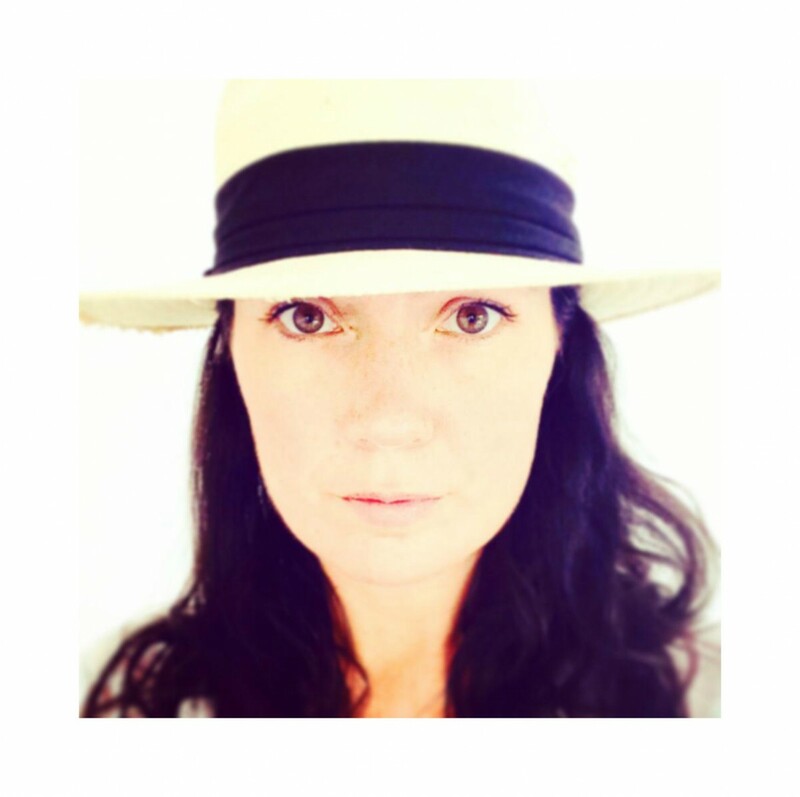 however if you are not too fussed about the skin, you certainly will not be disappointed with the results. the meat literally fell off the bones, soft and juicy, say goodbye to dry chicken. total perfection. the fast slow pro is launching right about now. the perfect kitchen gadget for christmas, just think how quick you could get stuff done on christmas day with this little beauty. so that was that. we made and ate a lot of food, we tried every gadgets we could lay our hands on, we were totally blown away by the lot. i think we all left wanting a much bigger kitchens that’s for sure! 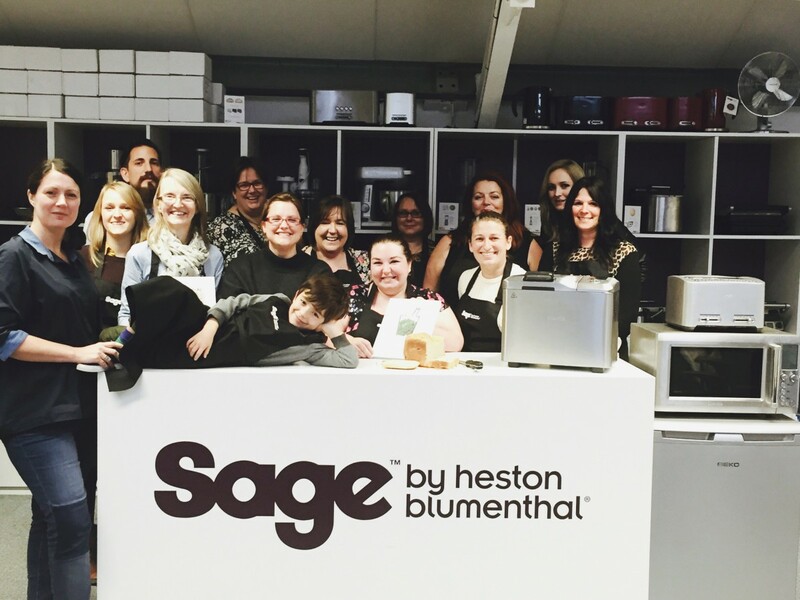 disclosure : we were invited by sage to their head office to spend sometime with their team, getting a hands on experience using their kitchen appliances and to celebrate the launch of their new fast slow cooker pro for purposes of a review. to our surprise we left with a wonderful gift from sage, our very own fast slow pro. our opinions are our own and we have been completely honest, i’m sure you will agree.